Could some one help me figure this logic out? Serious sustainable development at it’s finest! I guess??? 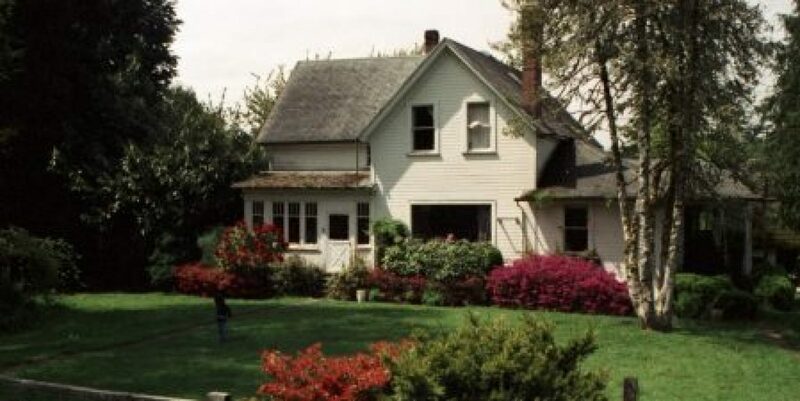 Paul Thiry has a home on May Valley Road in the Renton, Washington highlands. In the early 1980s, May Creek was moved close to his home to make way for some new homes nearby. Moving the creek caused his home to start flooding. Mr. Thiry complained loudly enough that the King County Executive, Randy Revelle, came to May Valley to see the problem for himself. There was increased flooding in other parts of the county so Mr. Revelle created a new division of the King Count Department of Natural Resources called Surface Water Management Division. A new tax was placed on rural property to fund the efforts of Surface Wate Management.By 2000 the county had collected $180,000,000 to manage surface water and flooding was dramatically worse all across the county. The steps to Mr. Thiry’s house had also sucuumed to the flood waters. He tore them off and started to rebuild them. He received a stop work order (red flag) because he did not have a permit for the work of rebuilding three steps. Mr. Thiry is an architect so he drew up plans, filled out the application and submitted it all to King County. His application was denied on the basis that the two 4X4 posts he proposed to hold up his handrail would increase the flood level on his upstream neighbors. Those are the same neighbors for which the creek was moved in order to accomodate their homes.Meanwhile, King County was forcing the state of Washington to place huge root wads with sections of stumps attached into May Creek approximately 150 yards downstream. The State was required to do so as “mitigation” for the redesign of the intersection of State Route 900 and May Valley Road where several people had died due to the inadequacies of the original design. People are no longer dying at that intersection so the increased flooding on Mr. Thiry’s house is probably worth it but Mr. Thiry still has no steps.You can get more information about this and see video as part of the May Valley Video.